Normally if you take your vehicle to a dealership near Fairfax Station, VA, they will use brand new OEM (original equipment manufacturer) parts for auto repairs. This is part of the reason auto repairs are more expensive at a dealership. OEM auto parts are usually better quality parts but not always. Sometimes an OEM part has a defect that the factory hasn’t fix yet so an aftermarket part would be your best choice. This is something you might want to check before buying your parts. If you take your vehicle to an independent auto repair shop near Fairfax Station, VA, most likely they will use aftermarket parts unless you specify you want to use OEM parts. Either way, make sure these are covered under warranty at the auto repair shop that you deal with for your repairs. Aftermarket auto parts are most likely cheaper and usually the same quality, but there might be times when you can’t find an aftermarket part, or it’s not of the same quality as an OEM part. Trust your mechanic to decide which would be best for your particular vehicle. Used second-hand parts are sometimes used for big ticket parts such as a transmission. Normally buying second-hand parts near Fairfax Station, VA are always cheaper that buying new or aftermarket. Always check your resources first and compare prices. Used second-hand parts have already been used, so they are not as reliable as new ones. Make sure you if you use second-hand parts it’s from someone who has a good reputation, and you can trust. It’s important to ask about the mileage on the donor vehicle, the condition of the part, does it work and is there a warranty on the used part. Never buy parts from an auto recycler that wear out under normal wear such as wiper blades or brake pads or you aren’t saving because you will just have to turn around and replace them again shortly. Comparing prices on purchasing auto parts is time-consuming, but it can save you in the long run. 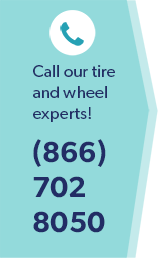 Trust your auto repair mechanic near Fairfax Station, VA to help you make the best-informed decision.